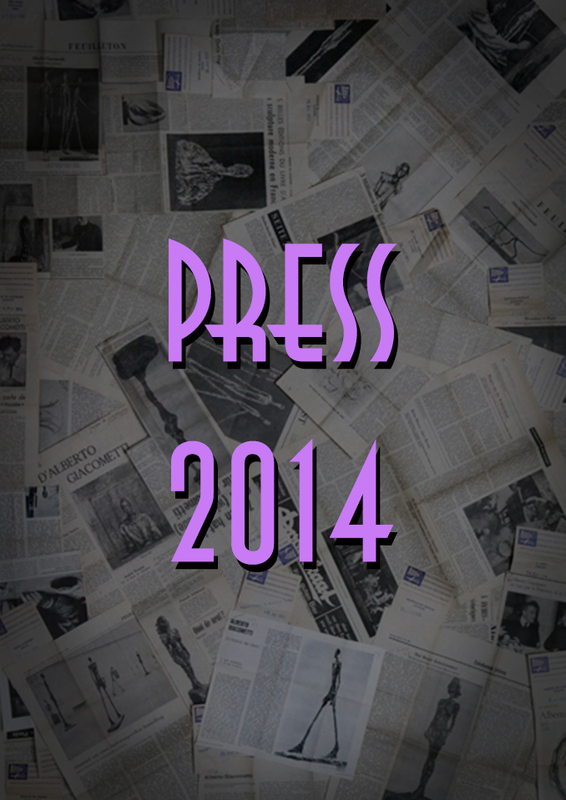 Official Montreal Burlesque Festival Press Release is now available. View it (PDF) HERE. McGill Daily talks to the founders about the Festival. Watch Mojo reviews the festival. 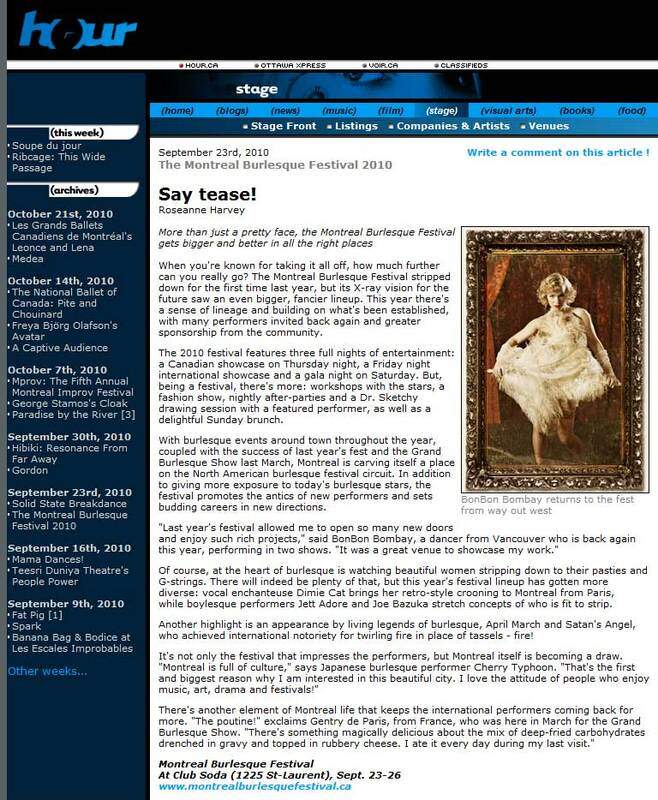 MSN Video shows a video preview of the Montreal Burlesque Festival. (Video in French). Newspaper The Monitor talks to Scarlett James about the upcoming festival. Montreal.tv shows a video preview of the Montreal Burlesque Festival. Tourism Montreal takes a look at the festival. Gazette talks to Scarlett James. 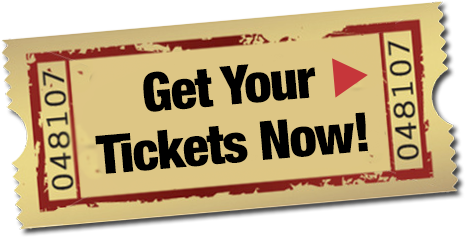 The Festival is previewed in PatWhite.com. 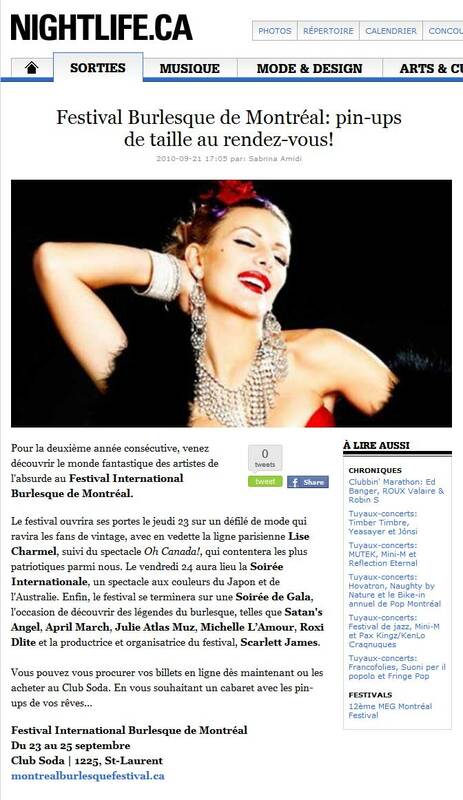 The Gazette introduces the Second Montreal Burlesque Festival.